Maria Pinto is a contemporary American designer and artist who creates beautiful, versatile fashions with a modern, urban edge. She is passionate about creativity and the integrity of design, and she brings those elements to her collections in innovative ways. Though her designs are contemporary, they exhibit a quality and craftsmanship that is timeless and lasting. Maria designs for the modern woman, taking into account her need for clothing that is stylish, versatile, and makes her feel gorgeous and confident. She has dressed some of the world’s most fashionable women, including Michelle Obama, Marcia Gay Harden, Brooke Shields, and Oprah Winfrey. A longtime client said, “Wearing Maria’s clothes make me look and feel like the best version of myself.” She is often inspired by art, architecture, and urban environments, and she seeks out fabrics that marry functionality with luxury and quality. 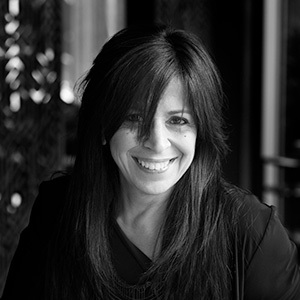 In addition to running her own company and store for many years, Maria has designed fashions for the Joffrey Ballet and The James Hotel in Chicago, and the Skylark Bar in New York. She has served as Creative Director of the department store Mark Shale, where she led the buying team and curated the women’s fashion collections. Her work has been featured at the Field Museum in Chicago and is now part of the permanent collection there. Now Maria is returning to ready-to-wear with M2057 by Maria Pinto, a new capsule collection of modern dresses, jackets, and wraps. She recently launched the collection on Kickstarter, raising more than $270,000 to start her new line. Reflecting her desire to explore fresh and innovative ideas and techniques, Maria is excited to be one of the first recognized designers to run a successful fashion Kickstarter project at this level and launch a collection on the crowdfunding website. The M2057 collection reflects Maria’s desire to give women what they need in their wardrobes. Today’s modern woman wants clothing that keeps up with her busy life, makes her feel beautiful and confident, has a high design quality and durability, but is still a good value. Maria’s inspiration for M2057 by Maria Pinto was to create pieces that are extremely versatile, lasting, and chic. M2057 is about the modern woman, and what she wants and what she needs. Shop Maria Pinto's newest collection, M2057 by Maria Pinto.